Driving home yesterday I caught Martin Luther King Jr.’s “I Have a Dream Speech” being replayed on NPR. It is, as everyone who has listened to the speech knows, a moving experience. It is also an experience that is mostly lost to our time. It is relic of a different age, a different world. One can hardly imagine a contemporary public speaker, particularly in a political context, striking the same cadence and intonation as Dr. King. I was also reminded that upon the passing of Senator Robert C. Byrd not long ago it was noted that a rhetorical style died with him. Different in so many ways, Dr. King and Senator Byrd came from a shared rhetorical world, one that united them and separates both of them from us. 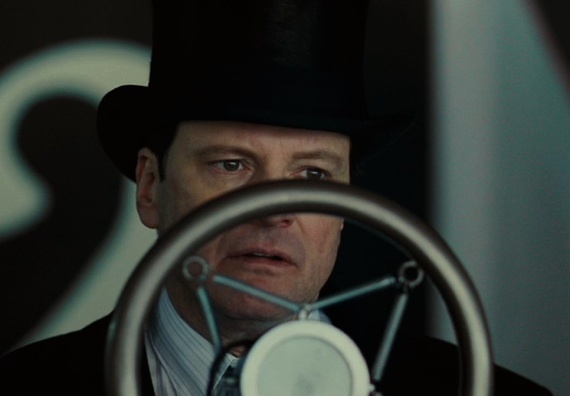 Serendipitously, I also watched The King’s Speech later that evening — a felicitous coincidence given the thoughts I was already entertaining about speeches and notably another King’s speech. The film features Colin Firth brilliantly playing King George VI of England who must struggle to overcome a stammer in his speech on the eve of the Second World War with the help of a speech therapist played by Geoffrey Rush. It was impossible to miss the significance given to oratory, and the film makes a point of connecting this significance with the advent of radio. The film reminds us of this visually by prominently and frequently drawing our eyes to the microphones, receivers, and other accouterments of radio from the era. But the connection is made explicit by the King George V, the imposing father figure, who notes that in times past the nobility and royalty could get by by merely looking the part. Thanks to the wireless, they must now speak the part too. Thinking about both K/kings and their speeches also coincided with rereading Walter Ong’s Orality and Literacy in which Ong lays out the momentous cultural consequences of literacy. Ong argues that the introduction of alphabet technology radically restructured consciousness and society. He goes on to identify three related transitions: from oral to literate culture with the invention of the alphabet, the amplification of that transition with the coming of the printing press, and the onset of what Ong calls secondary orality resulting from the appearance of electronic media that immerses us again in an economy of sound. Ong died before he could extend his analysis into the digital age, but his work certainly helps us think more clearly about our present media developments. 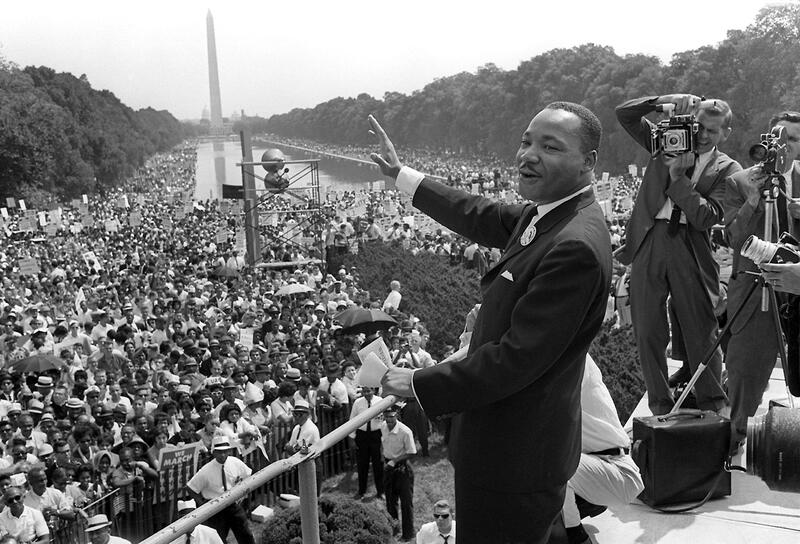 Noting the transitions from orality to literacy and then on to secondary orality also helps us make sense of the rhetorical worlds inhabited by MLK, George VI, and Robert C. Byrd. Each was shaped by rhetorical traditions that were in turn formed by cultural, religious, political, and technological factors that placed great store by the spoken word and the word spoken in a particular style. There are differences among them, no doubt, but those differences pale in comparison to the difference between all of them and those for whom they are all just pictures in a history book or images/sounds on Youtube. Finally, and at the expense of oversimplifying matters, it is always interesting to ask what different media require from public figures. The age of the photograph required one to look a certain way, the age of radio required one to sound a certain way, the age of television required one to both look and sound a certain way (but both were different from what was expected in the age of photographs and radios). The photograph and radio still traded in the dominant visual and oral norms of the culture into which they were introduced. Television appears to begin shaping these norms to its own constraints and demands; demands that arise not only from the medium, but also from its dominant revenue model. Most notably the distance between the public and the public figure is shrinking all the while. And with this shrinking distance comes the great difficulty we have in investing our public figures with either heroic stature or moral authority. The digital age seems to proceed along this same trajectory, so that accessibility, informality, immediacy, and ordinariness become for the public figures of our age what high flung oratory and dignified, aloof composure were for an earlier time. As an addendum to your last point about the digital age would also seem to be this: with the advent of HD television, people must now scrutinize how they look to a point of artificiality, because the immediacy of the “hyperverse” of television in hi-def exposes every fault, every wrinkle, and every imperfection. It is striking to think that the leaders and pundits are trying to be nothing more than caricatures of who they perceive they must be in order to attract the ironically detached, suspicious spectator their character requires.